Exploring Art tours are designed for teachers and daycares in search of a multidisciplinary learning experience in a contemporary public art gallery. 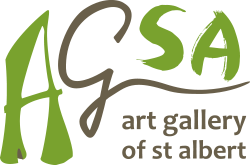 Explore our current and upcoming art exhibits at the Art Gallery of St. Albert! The Gallery offers a multi-faceted approach to art education that promotes deeper learning and offers multiple perspectives for students to see and interpret the world around them. 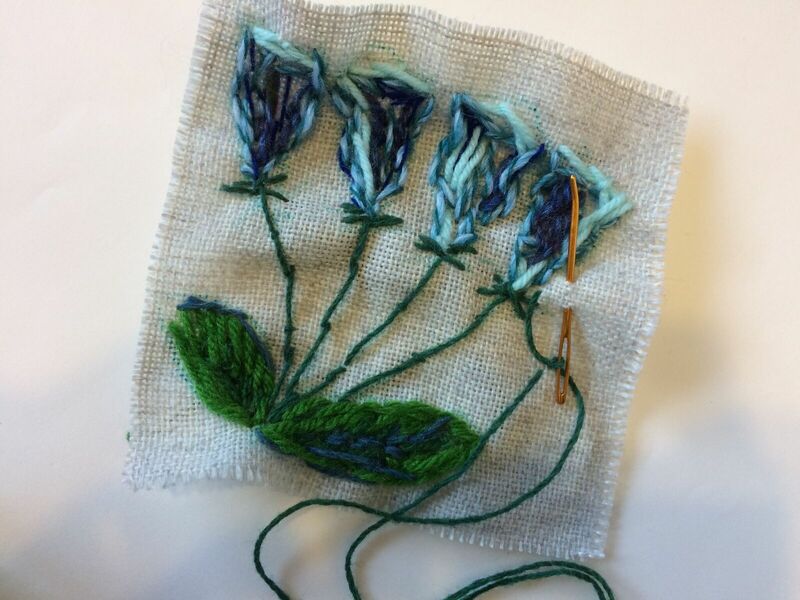 The Exploring Art program instils artistic behaviour and encourages students to develop their own creative capacities for learning, while accessing other types of knowledge and methods of creative problem solving. We can’t wait to meet you and your students. We welcome the opportunity to tailor each special visit according to student age, grade and curriculum focus. 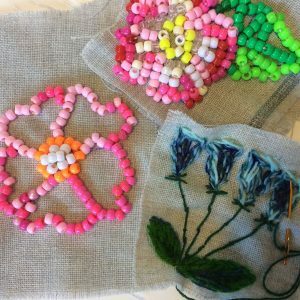 With inspiration from Reconciling Edmonton exhibit, students will make a beading sampler square using various colours of yarn, pony beads, and yarn needles to create a simple flower design. 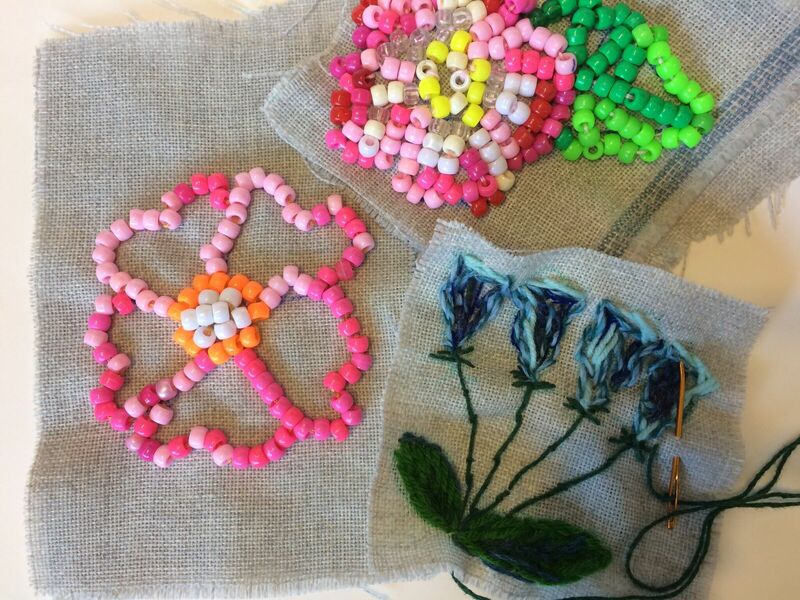 Students will use these materials to personalize their image on burlap while learning about beading and stitching as a creative and healing activity. Same activity and description as February. With inspiration from exhibit Splendid Spring, by artist Cynthia Fuhrer, students will use photographs, printed images, recycled papers, and a variety of drawing mediums including watercolour pencils, to create sketches and personal stories to make a booklet about nature and our role in protecting the environment. Following a tour of the exhibit, students will make a creative collage as they put their imagination to work exploring the topic of Diversity in Structure, with inspiration from the exhibit. Each participating student will create a collage panel that reflects their home, personal identity, culture or background. Get the whole body moving as your students create larger scale automatic drawings followed by an exercise in reconstructing an object presented by the Gallery. 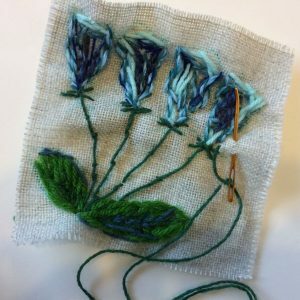 This art experience and Gallery tour will explore the learning that takes place when a student abandons preconceived ideas about how an object “should” appear.